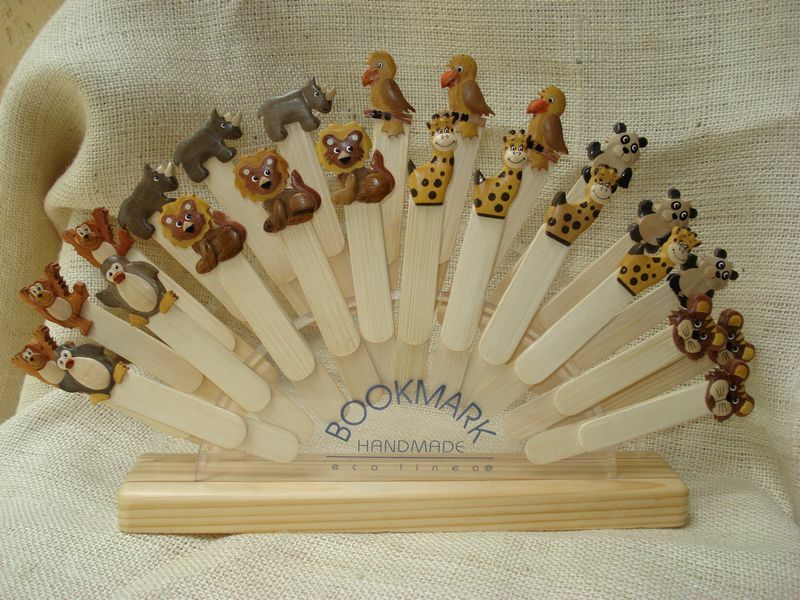 96 Assorted Bookmarks come to a set. You will receive 16 different animals 6 of each. If you order 3 sets of any of our wildlife collection you will receive a free display. If not the cost of the display is $15.50 Handcrafted in the Philippines and made of 5 different fine wood materials.